If someone tried to coax me a year ago with a “vegan mac and cheese” recipe, I would have politely said, “no, thank you.” First of all, I actually don’t really like mac and cheese. Not the boxed kind and not even the homemade kind. Weird, I know. And sad for my husband who looooooves it. I used to have to make him the famous “Ronald Reagan’s favorite mac and cheese” recipe all the time when we first got married. Tons of butter, cheddar cheese, milk, stomach ache for me. Just not my thing. It’s now the 21st century, and we’re both eating differently and I am open minded to alternative recipes. Although open minded or not, I’ve always felt if I’m not going to like the real deal, why would I like something pretending to be the real deal? And most vegan mac and cheese recipes call for fake processed cheese or nutritional yeast and they’re just not that tasty, in my opinion. Are you with me? Well, according to myself and according to Mr. Picky who still doesn’t like cheese except Pecorino Romano in some soups and on pizza crust, this mac and cheese is the bomb. I think it’s better than mac and cheese and he likes it because he has watched me make it and is confident there is not a morsel of cheese, real or fake, anywhere in this dish. You may have seen on my Instagram a month ago a picture I posted of “vegan nachos” I made for the kids. Here it is below. That’s the same sauce for this! You may have also seen a strange looking bowl of yellow stuff on my baked potato bar. 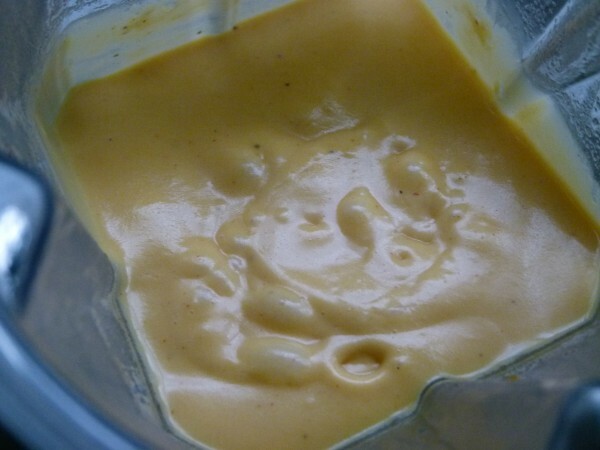 Same vegan cheese sauce! Do you see the potential here? What about as a dip for steamed veggies? I might even make a soup out of this. We are not just talking about a mac and cheese recipe. We are talking about a life-changing delicious not-cheese sauce. This sauce is a miracle. It is made from potatoes, cashews, carrots, onions and a bunch of other completely natural foods blended into creamy, cheesy deliciousness. Completely digestible (unless you are nut-free, in which case I am so sorry. Buggers.) I know I sound crazy. I wouldn’t believe me either. The only trick with this recipe is that you have to follow it exactly! No eyeballing measurements. No leaving things out. Anytime I have guesstimated an amount with this recipe, it hasn’t worked quite as well, especially with ingredients like cayenne, lemon juice (you can leave this out, but just don’t add more than indicated) and garlic. Some of the images on this post were taken of light spelt macaroni and some of whole spelt macaroni. My family much prefers the light spelt pasta with this sauce, but you should use whatever suits you. I have also tried this with brown rice pasta and a corn-quinoa pasta — both super! Once I threw some small cauliflower florets into the pasta pot two minutes before the pasta was done and made a cauliflower mac and cheese. (See above.) I’m sure broccoli and kale would be great, too! Can you see how much fun we are going to have with this??!! 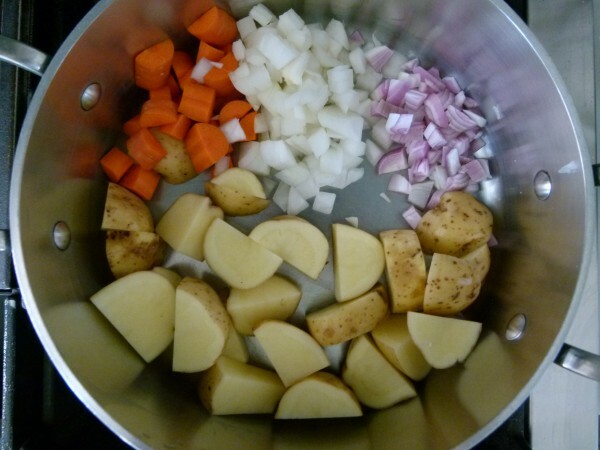 In a medium saucepan, add the shallots, potatoes, carrots, onion and water and bring to a boil. 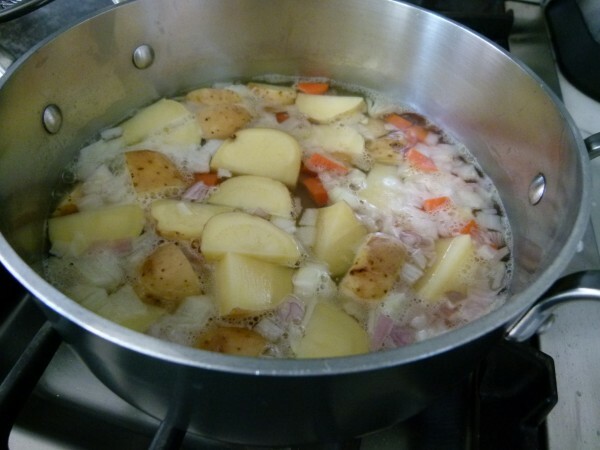 Lower to a simmer and cook, covered, for 15 minutes, or until vegetables are very soft. In the meantime, preheat the oven to 350 degrees. Cook the pasta in salted water until al dente, drain and put back into the pot. Put the bread pieces, 1 Tablespoon of butter and paprika in a food processor fitted with a metal blade and process until combined to a medium-fine texture, set aside. Place the cashews, salt, garlic, 5 Tablespoons butter, mustard, lemon juice, black pepper, and cayenne in a blender or food processor. 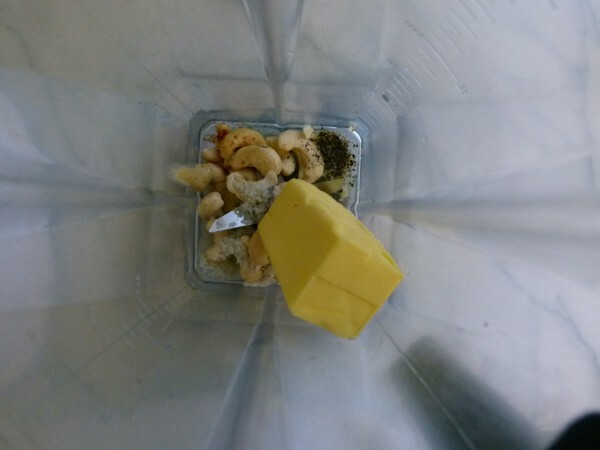 Add the softened vegetables and cooking water to the blender or food processor and process until perfectly smooth. 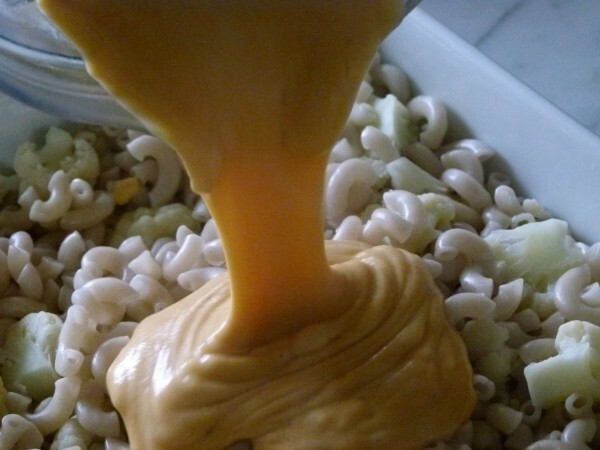 Pour the “cheese” sauce over the cooked pasta and combine until completely coated. 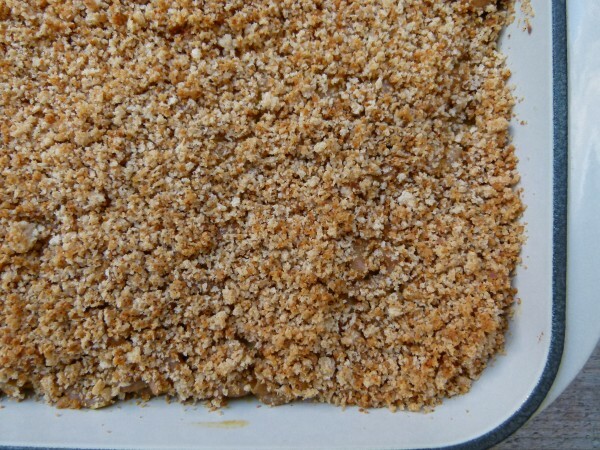 Spread the mixture into an un-greased 11 x 8 casserole dish, sprinkle with prepared breadcrumb mixture. Bake for 30 minutes or until the sauce is bubbling and the top is golden brown. If you add veggies (such as 1 or 2 cups of blanched cauliflower or broccoli) to the macaroni, cook in a 13 x 9 dish. I actually don't make the vegan version for us because we can eat butter. But I have made this with Earth Balance (which is vegan) many times and it has always turned out great. I have never made this without the bread crumbs, though. 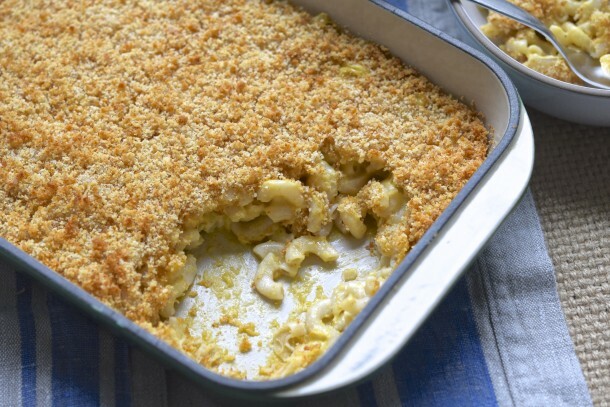 I think they provide a nice contrast in texture to the soft and creamy macaroni, but if not everyone will eat the bread crumbs, I am sure you can leave a square of the baking dish free of them. I had in the freezer and it was perfectly disguised and went unnoticed by my kids so that’s a win! Thanks for such a delicious recipe! Wow! I’ve been dying to try this recipe subbing butternut squash for the potatoes and you did it! I’m so excited to hear that it turned out well. Yay! And smart thinking adding cauliflower rice! So, i’ve been wanting to try this recipe for quite a while now. I finally remembered to soak the cashews. I made the mac & cheese and added steamed broccoli and some turkey bacon. Holy moly! This was so good. The flavor was unbelievable. My son loves mac and cheese and really loved this. I can’t believe the ingredient used makes this magic sauce. I don’t really make Mac and cheese very often but I think I will now with this recipe. My son is weird about cheese and doesn’t like nachos. I made this sauce for the second time this week and we had nachos with it and he said “oh, this is so good!” I can’t believe it took me so long to make this. You are a genius!! Hi Monica! I’m so delighted you and your family enjoyed it! Believe me, I am not a mac and cheese lover and my son will not eat any cheese at all and we are both crazy for this. 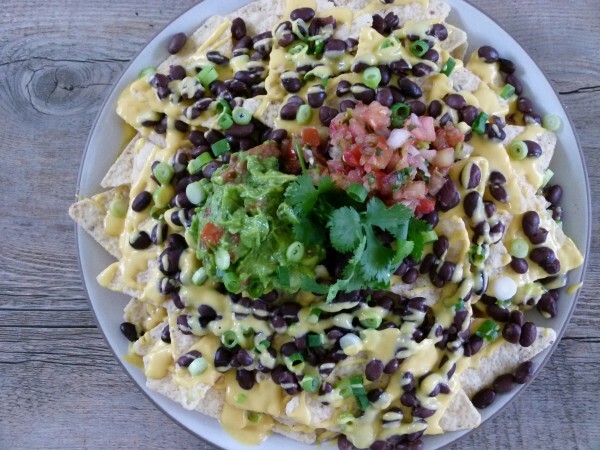 Search my site for Vegan Queso for a fun twist on this sauce that we love on nachos! I love this recipe so much. I lost it and have been searching the internet for months trying to find it again. The cheese sauce is so good I can’t believe there is no cheese in it. I have made it a little less thick and added broccoli to it as well, makes a great soup. Thank you so much for making something that doesn’t call for nutritional yeast(hate the stuff). You are truly a life saver!!!!! How much cooking water do you add to the blender with the cooked potatoes? You add all of it — everything in the pot including all the water goes into the blender. This was really delicious! I’m no longer a vegan but I like to try different things just to eat healthier. I have been so excited to try this for a while but also a little nervous of how it would come out. I love it. Definitely doesn’t have a cheese taste, and I wouldn’t be able to fool my husband with it, but the flavor is so good anyway! I will definitely keep to make again! I agree! Not exactly like real mac and cheese, but who cares?? It’s so delicious anyway! Can I make this in advance? Or do I need to bake it….I remember you saying something about this in class but I didn’t find it in my notes. Thanks Pamela! Hi Pamela, thanks for the great recipe! 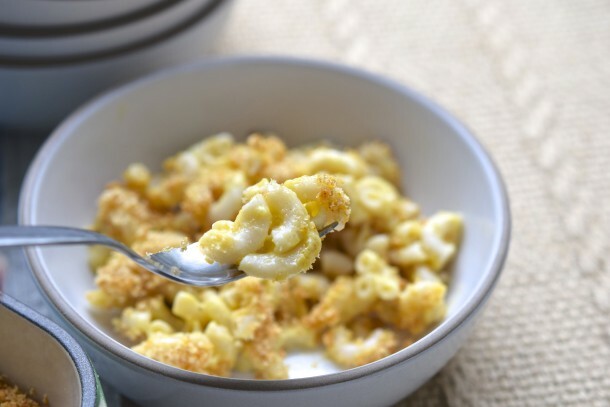 I’ve made this delicious mac n cheese probably more than 10 times and just love it! My non-vegan son likes it better than the “regular” kind. I wanted to let you and your readers know that I recently made a nightshade free version, which turned out to be wonderful. I replaced the potatoes with sweet potatoes, and replaced the cayenne with cloves. 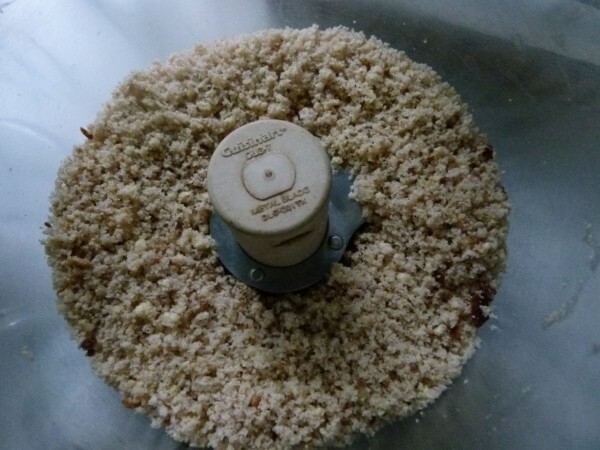 I just left the paprika out of the breadcrumbs (half the time I just use crushed Ritz instead!). Like I said, it tasted sooooo good! Thanks! God, that’s such a mouthwatering dish I wouldn’t want to miss! 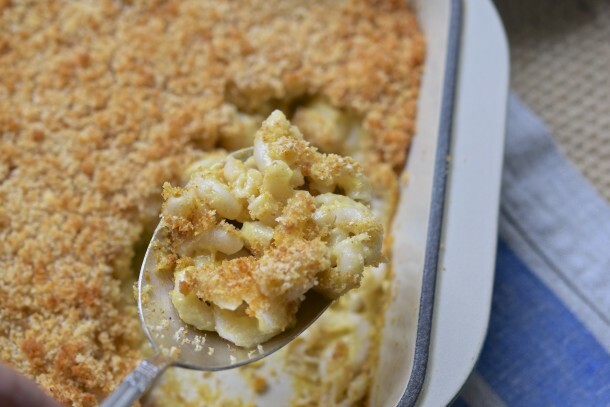 Love how you would combine vegan food with mac and cheese, nice! Have you tried freezing the sauce?